BY AN ACT of the Legislature, approved April 19, 1850, it was provided that a new county be formed, extending from the top of the Tuscarora Mountain on the east, to the top of Rays Hill on the west, and from the Maryland border on the south, to the Huntingdon County border on the north, with an area of 403 square miles. The petition asked that the county be named Liberty. The passage of the bill depended upon the action of Senator Packer of Lycoming County, who agreed to present the bill, provided that he be permitted to name the county. This was agreed to by the friends of the measure; and he named the county Fulton, instead of Liberty, after Robert Fulton. Robert Fulton (November 14, 1765 – February 25, 1815) was an American engineer and inventor who is widely credited with developing a commercially successful steamboat called The North River Steamboat of Clermonts. Robert Fulton was born on a farm in Little Britain, Pennsylvania, on November 14, 1765. Senator Packer served this area and his wishes were to honor the accomplishments of his native constituent. 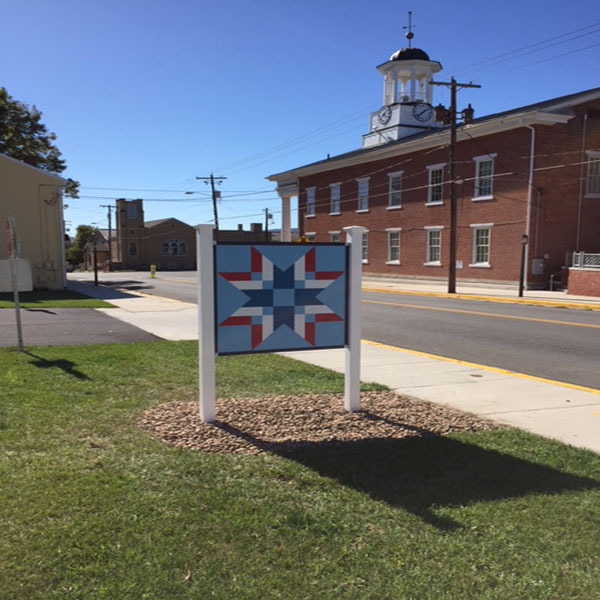 Therefore, this quilt block has been named Liberty to draw attention to the original proposed name of Fulton County, PA and its historical significance.